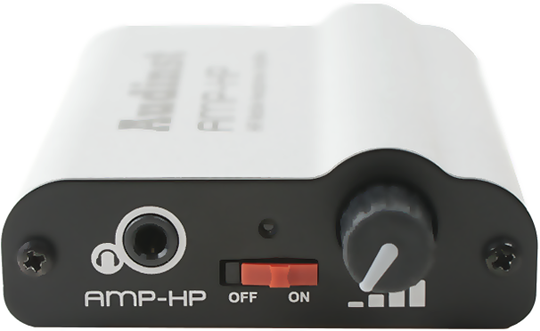 Amp-HP is the Hi-Fi Mobile Headphone Amplifier released to be the best in sound quality, portability and design with embedded battery in tiny and advanced design, and can be used on the move being coupled with various audio portable appliances as like MP3 Player, Portable CDP, Mobile Phone, iPod or others while you can possibly hear the sufficient volume even with a high impedance headphone above the range of approx. 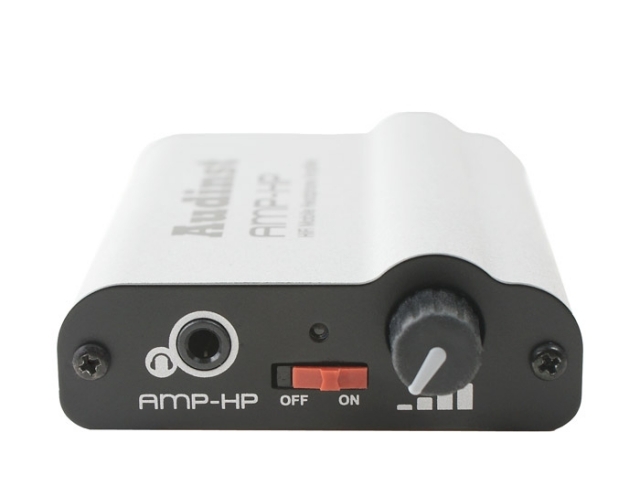 300Ω owing to the lift-up of sound quality to Hi-Fi level through the AMP-HP’s unique designing manner of multiple circuit terminal and advanced OP-AMP as well as the substantially increased output. 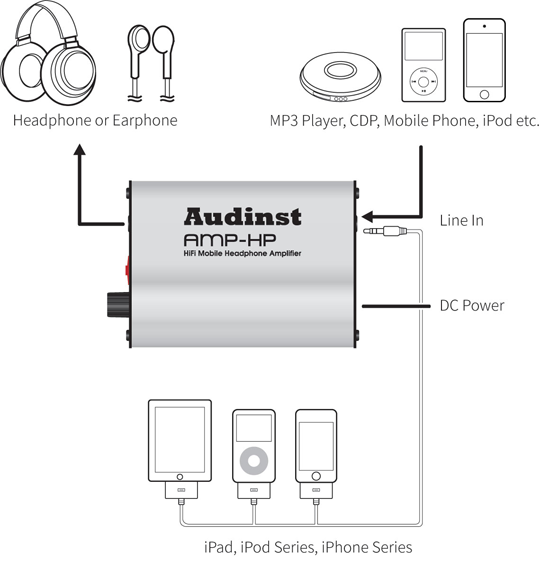 Further, you can hear the best high sound quality in use of it connected with iPod products through iPod Audio Cable as provided in a bundle. and is very convenient to carry it in the bag or pocket. 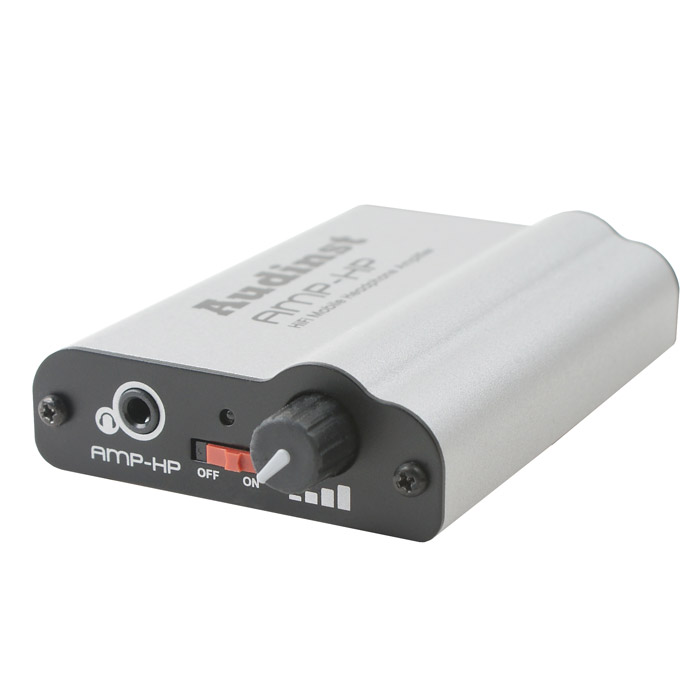 but powerful headphone amplifier will give you high satisfaction. 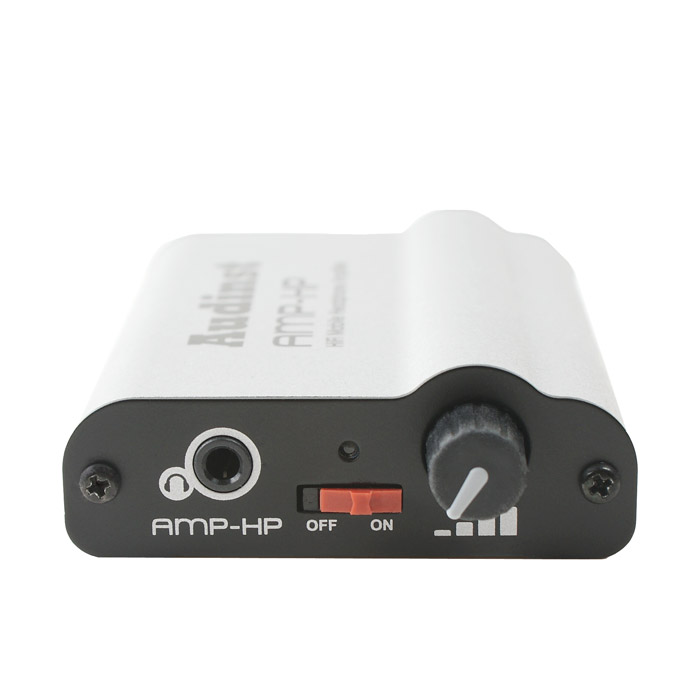 Unlike other portable devices consuming battery power when power switch is ON, Amp-HP adopted three way switch on feature in which input/output terminals and power switch should be connected to turn it on, to enhance the power efficiency by preventing unnecessary power consumption. 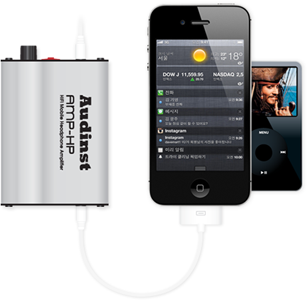 A thousand times charge/discharge can be done in maximum, and the high-capacity NiMH battery of 800mAh is embedded. A protection circuit against over-charge/over-discharge is mounted to extend the durability of the battery to the maximum, and therefore a long time plug-in of the adapter will not lead to an over-charge situation while the battery will automatically become power-off upon Low Voltage being detected. By the use of high performance capacitors like WIMA, LowESR, and Tantal etc. 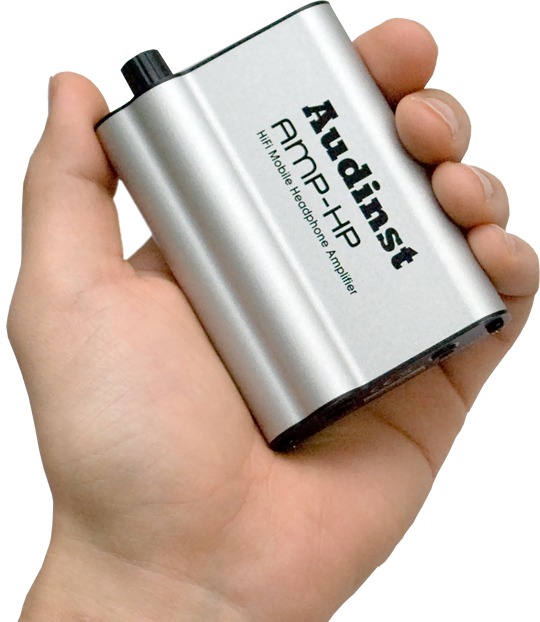 and Audinst's proprietary design technique achieving super low noise and Hi-Fi quality sound, the high performance and super low noise power supply circuit is adopted enabling to stably supply OP-AMP with positive power of ±5V until the battery is completely consumed. 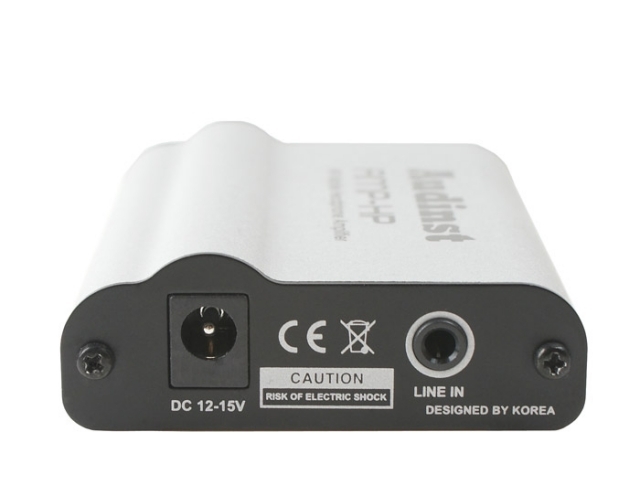 Replaceable and mounted with MUSES8820, the NJRC's High Quality Sound Bipolar-Input Dual OP-AMP which is of super high sound quality. 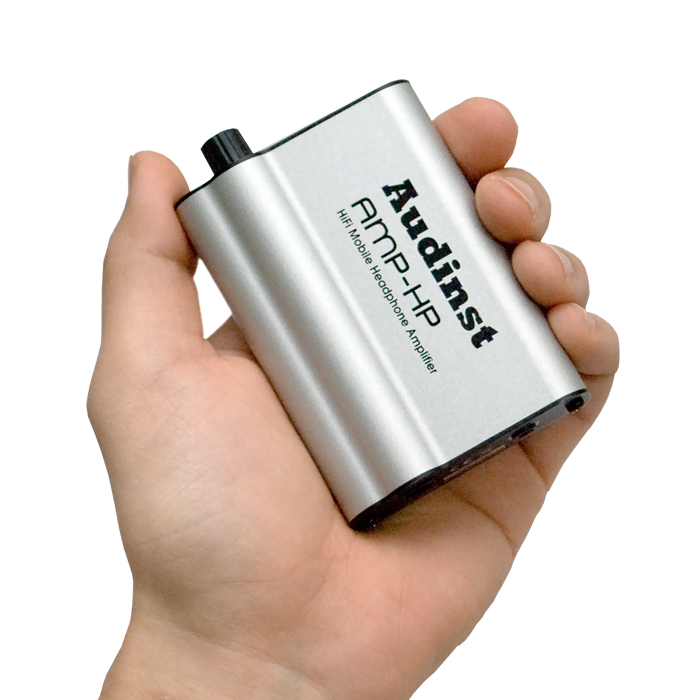 Mounted with AD8397, the Analog Devices' High Output Current Amplifier of high sound quality/high output. With expanding senses of sound field and space and by widely supporting 16 to 300 ohms of impedance, it provides wide range of choice for headphone to comfortably fit your ears. 1) Power ON in its use turns LED on while remaining battery shows itself. ※Color turns from green(full or normal) → scarlet → red(extremely small), and when the Low Voltage comes up as set up, power will automatically become OFF in order to protect the battery. 2) In charging, plug-in of adapter for charge will immediately turn the color of LED from green to red, regardless of power switch ON/OFF, to start the charging work. ※Colors turn as like red(rapid charge) → scarlet → green(charging completed). 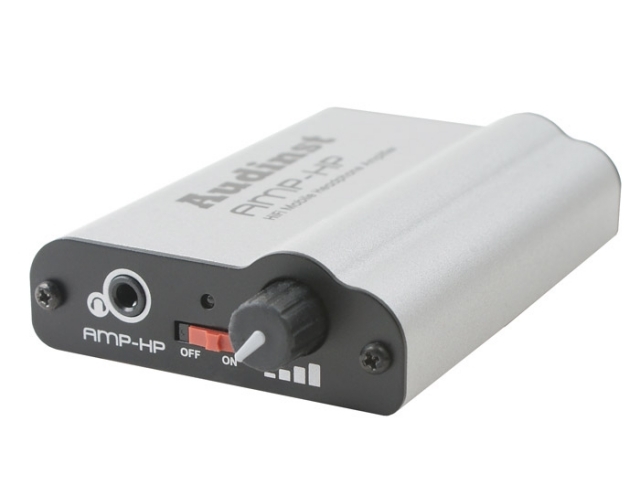 Amp-HP has been elaborately developed for a long time with a goal to let users listen to high quality sound from various kinds of mobile devices without restriction on time and place. 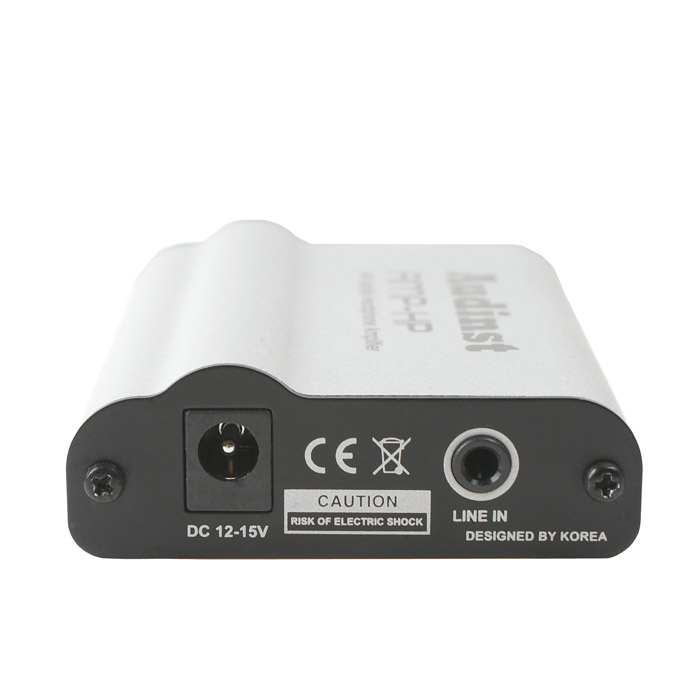 This lightweight and compact headphone amplifier, bundled with cable for connection to iPod, iPhone, iPad and other mobile phones, enables to enjoy listening to the best quality of music by carrying various mobile devices anywhere. 1. 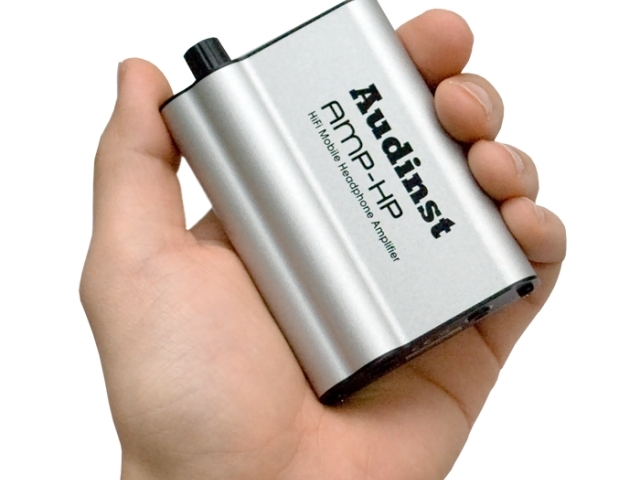 The cable that comes with Amp-HP is a service accessory to let users increase the application of Amp-HP and therefore not eligible for the repair or replacement due to the defect. 2. In connecting the cable as furnished, a message of precaution may happen to appear as follows, however it matters nothing wrong with iPod or causes no functional problem either. Please refer to this in use of it.